1. Last year at the word n sound festival you won the open mic challenge and took the title of “Queen of the Mic”, what was going through your mind when they announced the winner? 2. 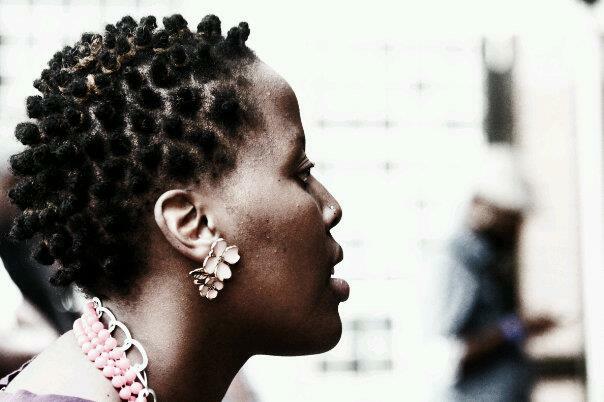 You’ll be showcasing at the first Word n Sound show for this year, what can we expect from your performance? 3. What inspires you to keep writing and performing? 4. How would you describe your style of writing? 5. Do you write to a specific audience or with a specific group of people in mind? 6. Please tell us how the name “Poefficient” come about? 7. Will you be defending your “Queen Of the Mic” title this year? 9. “Our poverty is the 8th wonder of the world” what was the inspiration behind this line? 10. How far are you planning on taking poetry this year? and yes, yes, yes, yes. It’s time for performance poetry!!!!!!!! 1. You’ve showcased on the Word n Sound stage before, how have you grown as an artist ever since, should we expect anything different? Yes indeed there has been a lot of growth. If I am not mistaken, I was the first artist (or one of them) to showcase at Word n Sound and just as the movement has grown immensely so have I. In terms of stage and music, the big thing is I’ll be performing with my band unlike last time when I did an acoustic set and my confidence is much higher than it was before making for more of an engaging show. I’ve also since released my album which was STILL an idea the first time I hit the stage, in fact when I first did Word and Sound, that was when execs from my label came to check me out to see if I was bankable enough to sign and record an album and for my second appearance I now have that very album so it’s massive growth. The war I referred to was from a political and social perspective and from an internal perspective. The first being stemmed from the political state of the country at the time I wrote the song, all the upheaval, violence, greed that was rife and still is both within SA and the rest of the world. Really it was a cry that should we continue down the road we were (are) on, it would lead to our own destruction whether through actual wars or acts of oppression and violence that are elements of war. Then internally – every person has conflict and areas in their lives they cant resolve whether in family, job, health etc and so in that, it refers to going to the root of each issue so as to prevent one from repeating cycles of pain, poverty, depression etc. So it’s largely a peace song in every sense of the word. 3. What are some of the challenges that you face currently as a newcomer into the industry? Too many to list, but the major one would be to gain recognition. I often have to prove myself and worth at every turn and it gets difficult cause I can’t choose for people what they should think of me. Also just trying to break into the mainstream hasn’t been as easy. In some areas the powers that be look upon me favourably and in others they don’t so really it’s a lot of work and one has to be on it constantly to gain true success. 4. Please explain the relationship between your music and God? Well my music is prophetic, meaning the messages in my songs come from GOD himself through my spirit and then to the ears of the listener. I know this simply cause of how my songwriting experience is where I literally do not write from my own mind but the songs just ”come”. Almost every song on my album came up that way while about one or two came from me. Secondly, I am not THAT profound, I get shocked by some of the content that comes to me cause its often things I have never thought about myself yet they come out in a song so I know its not me. Finally because of the effect I have seen the music have on people and the effect it has had on me personally. A German friend of mine sent me a text saying (I paraphrase) ”If GOD is real, your music makes he/she easier to believe in” so really it’s by GOD for the upliftment of HIS people in order to bring us closer to him. I am honoured to be a part of it. 5. Who is Lilly Million outside of the music? Outside of any ideas people have of me whether true or false I am actually a very big kid at heart. I’m a LOVER, I believe in LOVE and LOVING people, I’m very playful and find joy in very little things. I also am a bit of the defender and peace maker when it comes to relating to people, so I’ll be that girl trying to understand or figure out WHY that guy cheats on his girlfriend rather than just sending him to the guillotine. I’m simple, I would much rather sit in a park and share a packet of ghetto snacks and good conversation than sit in a fancy club in an uncomfortable dress and sore shoes. I’m also a writer and director and that’s a part of my abilities I hope to develop more this year. 6. Who are your biggest influences in the music industry? As crappy as this may sound, I don’t have direct influences but I do have people I look up to. These include great songwriters like John Mayer, Phil Collins and Oliver Mtukudzi. They are all men but I feel have written some of the most heartfelt songs I have ever heard. 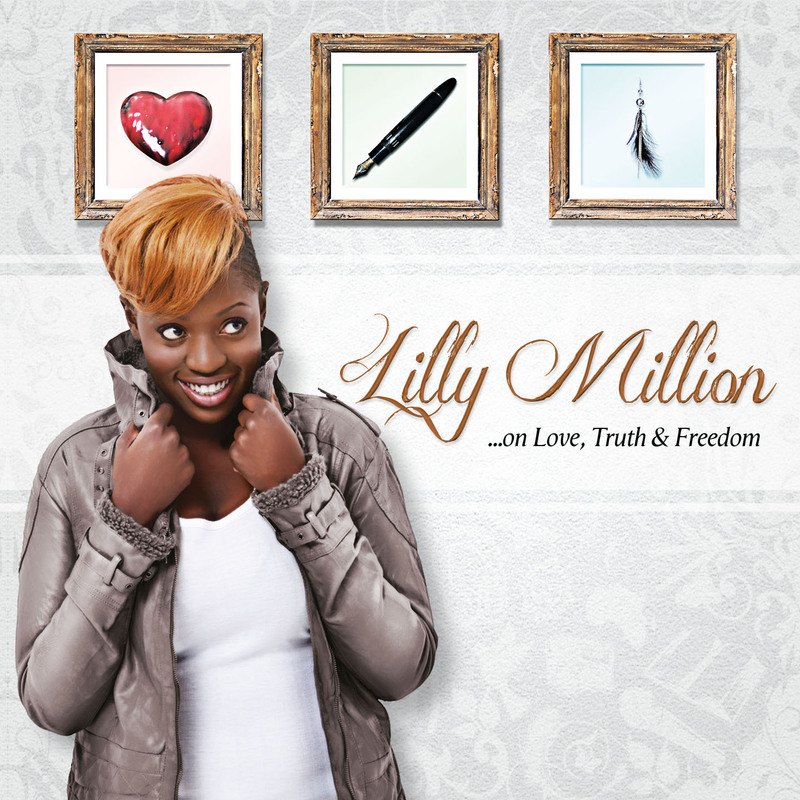 Lilly Million’s latest album, ”On Love, Truth & Freedom” will be available at Word N Sound Series on 2 Feb at the Market Theatre Lab. 7. 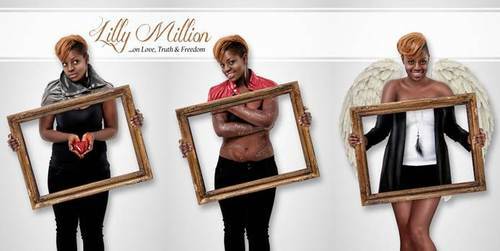 Should we expect another album from Lilly Million any time in the near future? Definitely! But perhaps in a year or two, my debut album is only about a month old so it’s still a baby but I have been writing and have a lot of music to make and things to say. 8. When did you realise that singing is an art form that you wanted to follow? I think I was about 14 or 15, in grade 9 when I started writing music, which is shortly after I started writing poetry. I liked doing it and from then on it was that ‘other’ thing I wanted to do because I thought I would have to go get a ‘real job’ before doing it but clearly GOD had another plan cause right now its my ONLY job and so far its been good, still have to grown but its been good. 9. What do you hope to achieve through your music? The more I grow the more this answer develops. So for where I am now I would hope that by the time a listener has heard the last chord of the last song on my album, they have opened up to higher truths and a realisation that there is more to our existence than what is physically in front of us and from there they can begin to search and grow. 10. How has music altered your life? Dramatically. In every aspect it has had some influence right down to the golden colour of my hair. Besides the following I have gained and everything that comes with externally, internally it forced me to grow up. I realised the gravity in the words of some of my songs and realised I have to live up to them so it has even affected how I live and relate to all the people in my life. It has also challenged and upped my faith as well, which is good because in some of the dark moments I have faced as newcomer, it has forced me to always reconnect to GOD the source so really its been a rolloercoaster but an amazing and life altering experience. 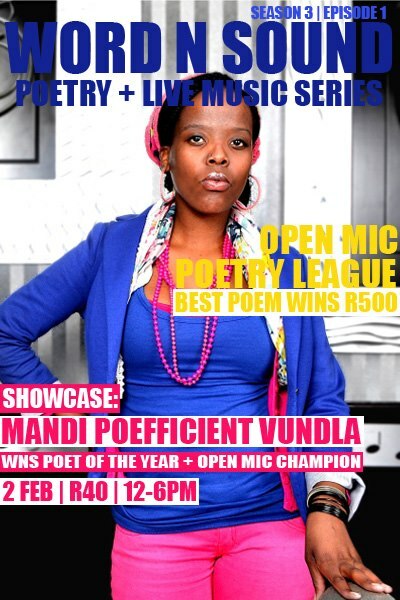 Catch Lilly Million at Word N Sound Poetry and Live Music Series on 2 February along side Mandi Poefficient Vundla and Likwid Tongue at the Market Theatre Laboratory (inside Bus Factory) Newtown from 12-6pm.